Size of this preview: 585 × 600 pixels. Other resolutions: 234 × 240 pixels | 468 × 480 pixels | 1,000 × 1,025 pixels. This image was selected as picture of the day on the English Wikipedia for April 27, 2006. This is a featured picture on the Tamil language Wikipedia ( இன்றைய சிறப்புப் படம்) and is considered one of the finest images. English: Zion Canyon at sunset in Zion National Park in Utah, as seen from Angels Landing looking south. Deutsch: Der Zion Canyon im Zion National Park ( Utah, USA) bei Sonnenuntergang von Angel's Landing aus gesehen. Español: Atardecer en el Parque Nacional Zion, Utah, Estados Unidos. Français: Le Parc national de Zion (Utah, USA) au coucher du soleil. Italiano: Tramonto al Parco nazionale di Zion. Nederlands: Zonsopgang in de Zionkloof in het nationaal park Zion in Utah, gezien vanaf Angels Landing in de richting van het zuiden. Português: Pôr-do-Sol no Cânion Zion no Parque Nacional Zion em Utah. Svenska: Solnedgång i Zion National Park i Utah i USA. Türkçe: Zion Kanyonu, Utah, ABD. 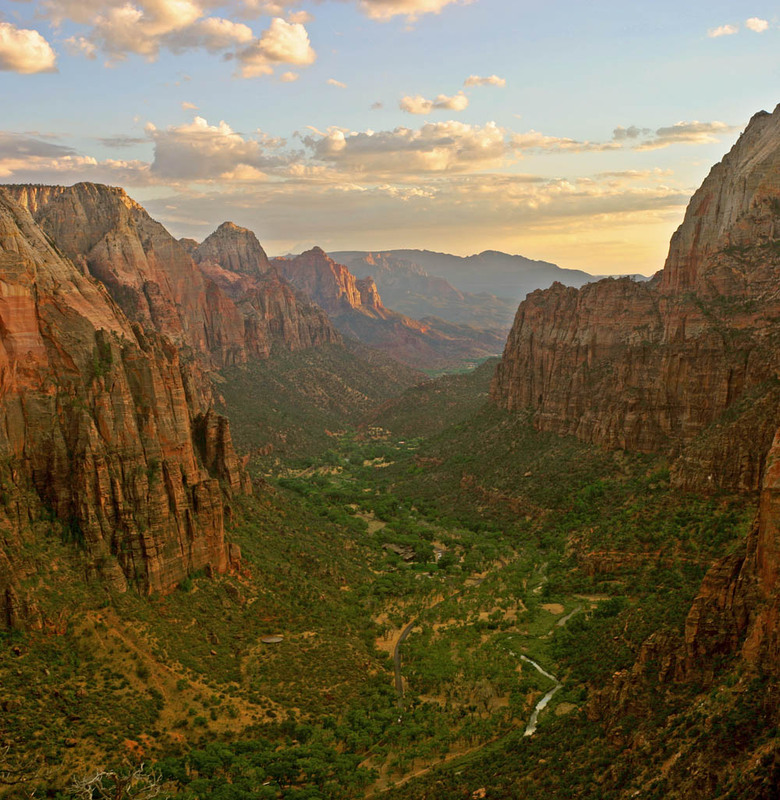 English: Zion Canyon at sunset in Zion National Park as seen from Angels Landing looking south. Français : Zion Canyon ( Parc national de Zion, en Utah, USA) au coucher du soleil vu d'Angels Landing en regardant vers le sud. Українська: Захід сонця в каньйоні Зіон, Національний парк Зіон, штат Юта, США. current 15:12, 2 September 2005 1,000 × 1,025 (219 KB) Diliff Zion Canyon at sunet in Zion National Park as seen from Angels Landing looking south. Taken on 13th of September, 2004.